Hey, how am I singing? Now there’s a question. It’s one that can float through various levels of our awareness, appearing here or there, remaining unknown, and consequently unasked (and therefore unanswered), gig after gig, session after session. If the thought of it even occurs to us and we dare to follow through on the asking, the following often happens. (Unless we’re narcissists) we gird up our loins to courageously query cast, crew or studio, in part or whole, (ourselves included), while also staving off a near loss of consciousness due to the acute anxiety we experience in the scant split seconds- miniscule seconds that have gone into bombastic, cinematic sloooooow time, kettle drums and all- yes, those same s e c o n d s that we must survive, while we await an answer to a loaded question like that one. It’s not easy being a singer. Our instruments are simply too close to the jugular vein. So we may be offered multiple answers, some that start a fistfight or a new career path (probably for the one-time, bullet-dodging, overpaid “producer”, who insists he “ah, has somewhere else to be right now…phew…”), but regardless of whether or not the feedback is as positive as we want and will it to be, it is more often than not, technical in nature. Technique is necessary. Yesiree, it most certainly is! If for no other reason than to take a glorious stand against autotune. But I’ve seen the impact of a technical over-focus keep singers from deep, optimal performance. This became my nemesis one day. And what a brain battle it was. 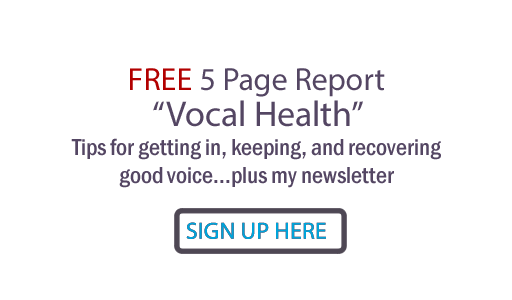 I had been gaining some technical ground for a few years, but ironically, I found myself moving farther away from my own voice. I felt like I was sliding down an annoyingly muddy hill while some deranged farmer kept turning on the garden hose. I realized that I had actually been delivering The Message far better at the beginning of my vocal journey, even though my technical capabilities were few. I had been touching more Hearts, including my own, and I wanted nothing more than to regain the spirit of that. But how? How well is The Message coming through my voice? Something clicked and locked in like Tower of Power’s rhythm section. …because there are times when it really seems and sounds like nobody knows, including anyone and everyone associated with the performance. But what we want to be singing if we’re going to hit the zone and REALLY make magick is what I call Resonant Lyrics. First, we need to realize that, while people refer to the “words” we sing, if we’re delivering to the aforementioned ideal standard, it’s waaaay beyond “words”. We’re delivering “lyrics”, and these sacred morsels are something that I define as a unique and symbiotic relationship between “words” and “feelings”. (Enter, The Heart.) The term resonant lyrics is somewhat self-explanatory, but it bears considering the definition here. For lyrics to be resonant, they must: 1. Touch a singer’s soul as though they’re her own story (and they very well could be as in the case of a singer-lyricist). 2. Be the best, and most refined (yet still raw- but that’s a whole other blogpost) that they can be. So. How do we achieve Resonant Lyrics? Stay tuned for Part 2 (coming soon) of this guest post for the answer to that question! “Like a drunken lone wolf sailor”. I wondered who’d been drinking after that. “We’re not tossing seedbags here.” From a west coast urban “vocal aficionado”. “Amazing! No wait! I was soloing Glenn’s track.” Well, I can understand this one because the producer was talking about Glenn Hughes. “You need to stop lifting weights. You’re looking way too muscular.” Yup. That was the feedback from this uberclown, a small-time A&R guy lasciviously licking his lips. “Like a cat.” I often sound like a cat. Meow. Canadian rock singer/songwriter/performer/author Salem Jones is a prairie-born artist who has written and released several CD’s to rave reviews, including a duet with rock legend Glenn Hughes. Salem scored a small soundtrack and produced/performed in several music videos. She has been shined on by some of rock music’s elite, and has performed live across much of Canada, including the famed Francis Winspear Centre for Music. Salem is a well respected performance coach and lyric consultant at Empress Performance Consulting and Empress Lyric Consulting. Fueled by the deep conviction and personal experience that lyrics change lives, Salem has just written her first book called,“The Book of The Lyricist: Lyrics as a Way In and a Way Out”. It likens lyric-writing to transformational journal writing, and in her uniquely entertaining way, opens the seemingly inaccessible world of writing lyrics to anyone and everyone. Your lyrics are your truth. They're your sacred secrets, your dazzling dreams, your cherished plans, your insistent demands, your delicate suggestions, your moon riding joys, your gut wrenching pains, your heart crushing losses, your cross-the-finish-line-at-all-costs gains. They're your style, and they are the way that you change the world. Your lyrics are you. They are the lifeblood of your songs. You want them to tell the whole story, the way you intended it to be heard, in the strongest way possible, so that someone can deeply understand and will walk away changed. By you. By your words. By your lyrics. This is the essence of being a lyricist. Connect with Salem on Twitter: https://twitter.com/Empress_Lyrics or through Judy’s All Things Vocal Training Facebook page. Don't forget to look for part 2 of this post!